This post was sponsored by Starbucks as part of an Influencer Activation. I received compensation and complimentary products to facilitate my review. Here in Virginia it has been raining almost every single day the entire month of May. I am not exaggerating! I am so ready for sunshine and warmer temperatures. 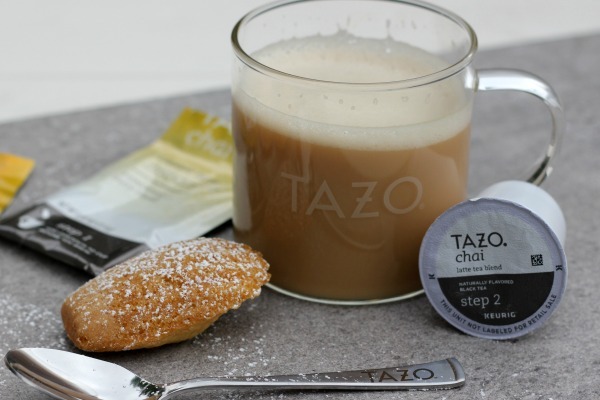 One thing that makes me feel better on a rainy day is a warm cup of TAZO® Chai Latte. ginger, cardamom and vanilla. Sweet meets spicy all in one perfect cup. 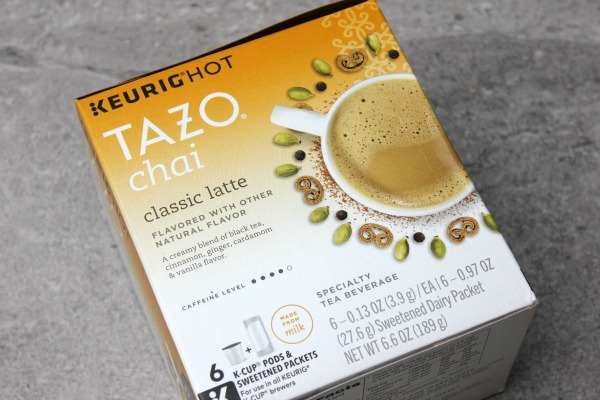 I was so excited to find out that I can now brew my own chai latte at home using my Keurig®. with a cup of chai and you can find them here. 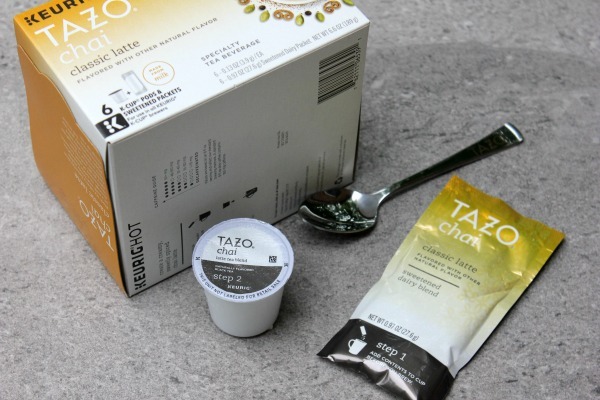 New TAZO® Chai Latte K-Cup® pods are made from milk, tea leaves and spices. A blend that is part sweet, part spicy, and so delicious! zest for additional flavor and lots of powdered sugar. 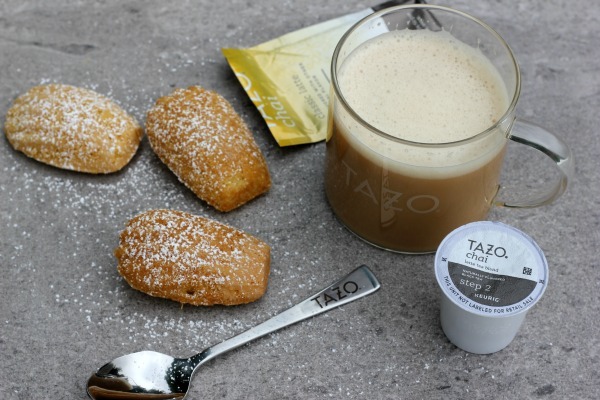 Madeleines and TAZO® Chai Latte K-Cup® pods are a match made in heaven. 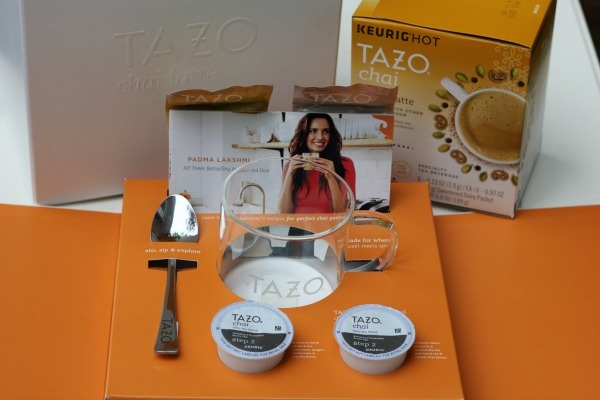 Find where you can buy TAZO® Chai Latte K-Cup® pods here. 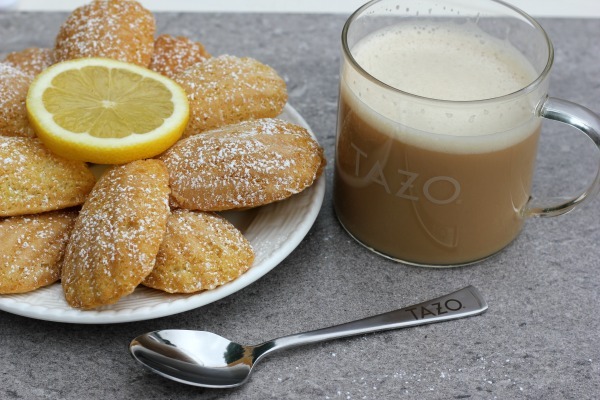 Connect with TAZO® on Facebook, Twitter, Pinterest and Instagram. Sweet meets spicy and they are a perfect match! flour. In a small saucepan, over low heat, melted butter. Remove from stove to cool. In a large mixing bowl, mix eggs and sugar with an electric hand-held mixer. 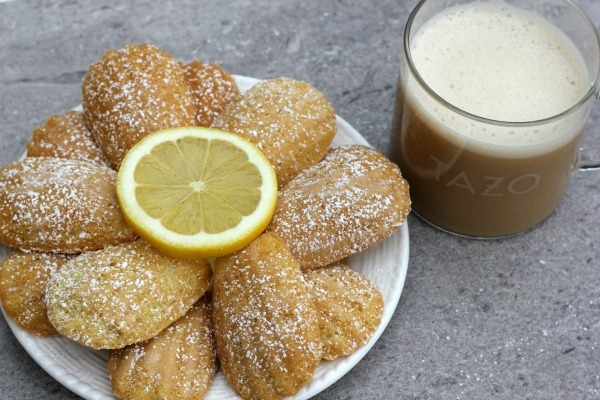 add melted butter, vanilla and lemon zest and mix until all ingredients are incorporated. Using a small cookie scoop, fill each shell with about one tablespoon of batter. when lightly touched. 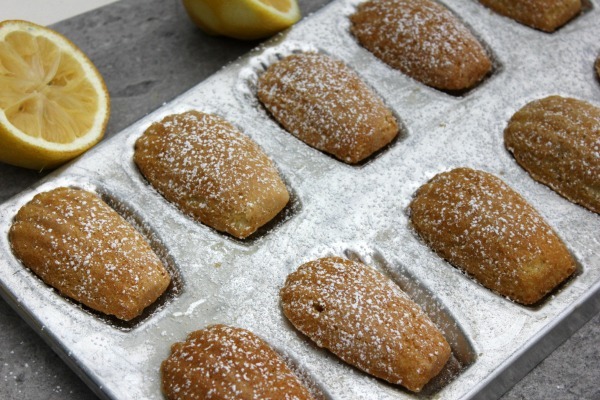 Let madeleines cool in the pan for a few minutes. to cool. Dust with powdered sugar before serving.